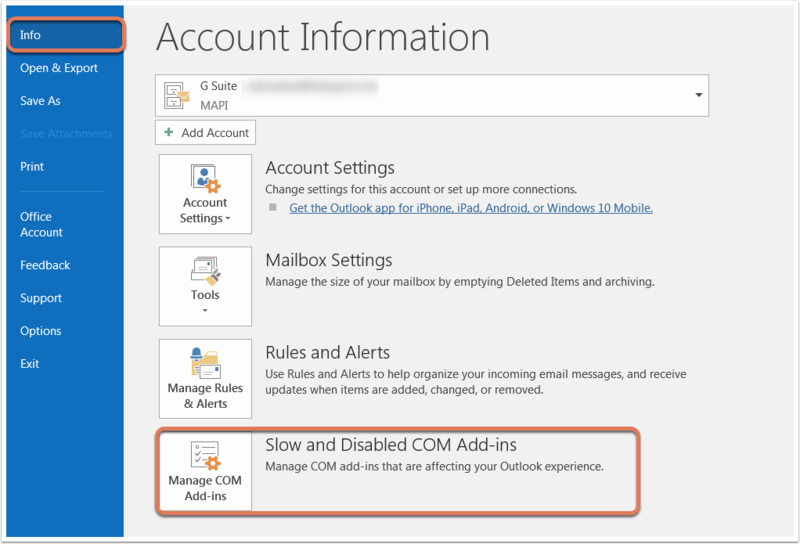 The HubSpot Sales Outlook desktop add-in may have automatically been disabled by Outlook to improve Outlook performance. Where this is not the case, learn other steps in troubleshooting the HubSpot Sales Outlook desktop add-in. Why does the Outlook desktop add-in become disabled? 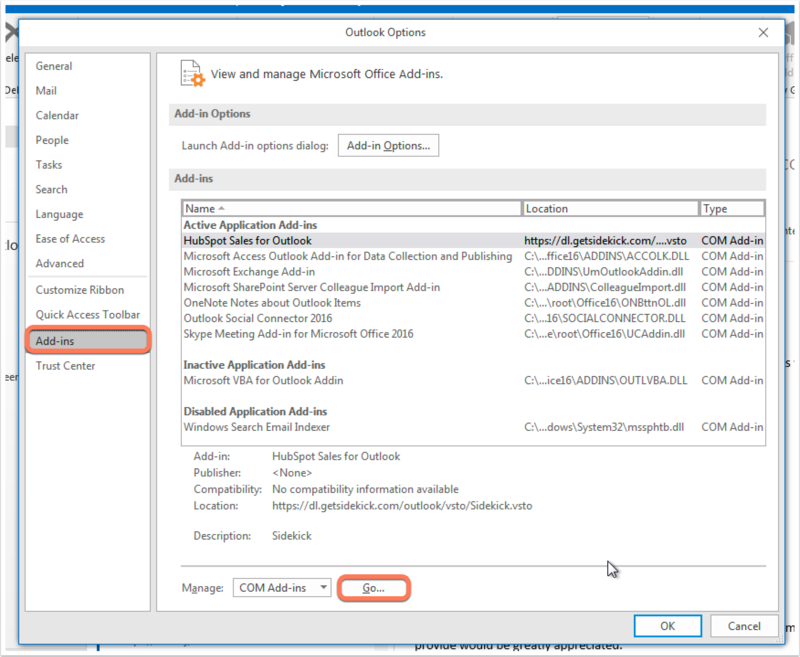 How do I re-enable the Outlook desktop add-in? In Outlook, navigate to File. In the left sidebar menu, navigate to Info, then click Slow and Disabled COM Add-ins. In the dialog box, select Always enable this add-in under HubSpot Sales for Outlook. In Outlook, navigate to File and select Options in the left sidebar menu. In the dialog box, check HubSpot Sales for Outlook, then click OK. If the add-in is still disabled, review the Load Behavior at the bottom of this dialog box. It might read Unloaded or Not loaded. What should I do if I see 'Load Behavior: Unloaded'? Navigate to Control Panel, then click Uninstall a program or Add or remove programs. Search for and uninstall Microsoft Visual Studio Tools 2010. Search for and uninstall HubSpot Sales. 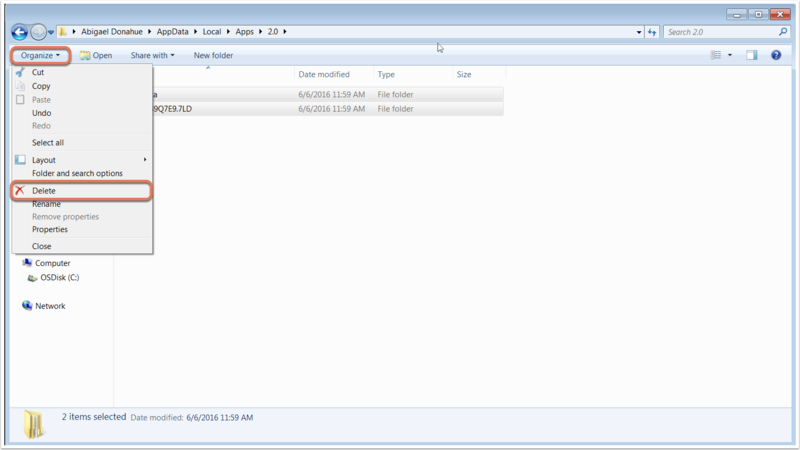 Copy and paste %localappdata%\Apps\2.0 into your Start menu in Windows and press Enter. After deleting the files, reinstall Microsoft Visual Studio Tools for Office. Reinstall the HubSpot Sales Outlook desktop add-in. What should I do if I see 'Load Behavior: Not loaded'? Close all instances of Outlook. Navigate to the Registry Editor by typing regedit in the Start menu and pressing Enter. Click the > symbol next to HKEY_CURRENT_USER to expand the folder. Expand Software > Microsoft > Office > Outlook > Add-Ins. Right-click the Sidekick folder and click Delete. Copy and paste %appdata% into your Start menu in Windows and press Enter. 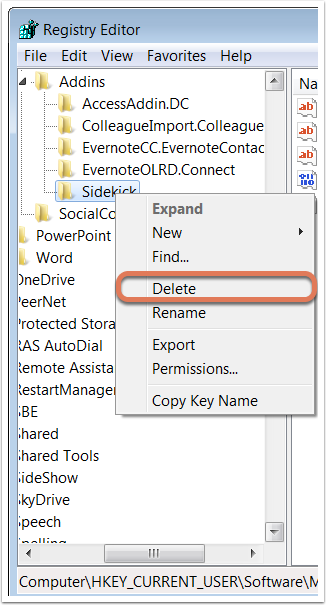 Please note: if you encounter an error message that the folder or file(s) are currently in use when you attempt to delete them, close all instances of Outlook and Sidekick for Windows. Press Ctrl + Alt + Delete and click Task Manager. Ensure you are in the Processes tab, then locate and right-click the SidekickTrayWPF process and click End Task. Then, attempt to delete the folder or file(s) again. What if I still don't see HubSpot in Outlook after enabling it? Install the HubSpot Sales Outlook desktop add-in, then open Outlook. Navigate to File and select Options in the left sidebar menu. In the dialog box, navigate to Trust Center in the left sidebar menu, then click Trust Center Settings. In the dialog box, navigate to Macro Settings in the left sidebar menu, then select the Enable all macros radio button. 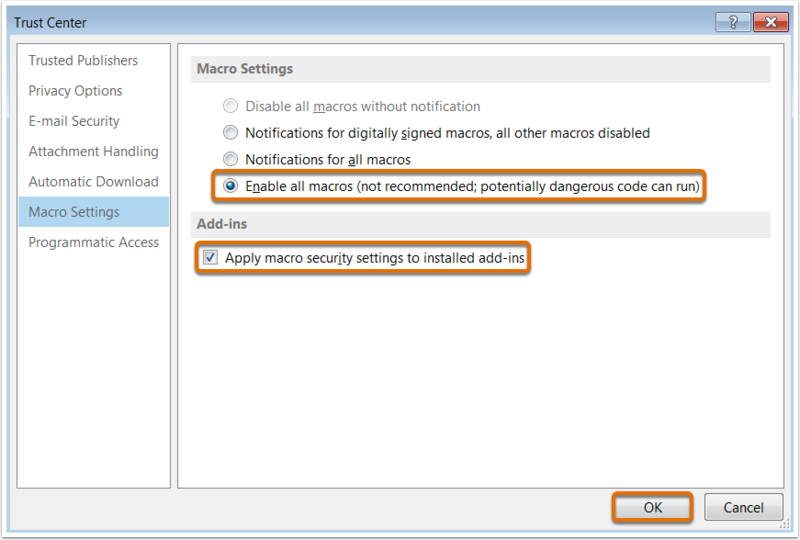 Under the Add-ins section, uncheck Apply macro security settings to installed add-ins. Please note: there is a warning associated with the Enable all macros setting, as it allows web-based applications to run. If you use this macro setting, ensure that any applications you download from the web for Outlook come from trusted and reputable publishers.